World Vision is committed to partnering with the people of Kenya to improve their lives today and to help deliver sustainable solutions for the future of their children, families and communities. Please pray for our work with the poorest children in Kenya. Belinda (pictured, second from right), 14, from Kenya wants to go back to school as she has big dreams for her future. “I was in class 4 and because I could not read, I was taken back to class 2. This made me feel bad. We could not pay the school fees and I dropped out of school.” Belinda is one of five siblings raised by a single mum. Her dad passed away 8 years ago. She dreams of being able to finish school so that she can help her mum provide for her family. Belinda’s mum, Joyce, struggles to provide for her family. The only work she can find is mining gold in a local quarry. “I have to leave my children the whole day at home, and at times without food, to go mining. Some days, there is no gold after hours of mining and this makes it difficult for me to buy food for my family. Also gold mining is dangerous and I am afraid of handling mercury in the mines” she says. We thank God that with your support, we have been able to build a temporary house for the family. However, Belinda’s family still struggles for food, basic necessities and money for school fees. Please pray for Belinda that God will provide so that she will be able to go back to school and complete her education. Pray for her mum that she will have strength and opportunities to earn enough money so that she can provide food, health and education for her children. We ask God to comfort, protect and give peace to Belinda, Joyce and their family, in all the difficulties and anxieties they are facing. Barack is 5 years old and has been diagnosed with Sickle Cell Anaemia. He is very weak and tired. He lives with his single mother, who is very worried about Barack. She is also poor and struggles to make ends meet. She feels overwhelmed and doesn’t know how she’ll be able to afford medical help for Barack. Please pray for healing for Barack so that he can go to school, play with his friends and enjoy life. 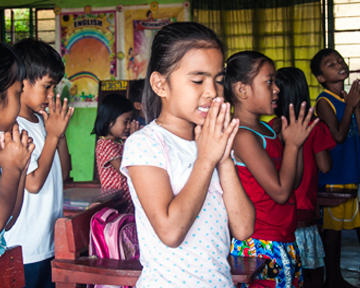 Pray that God will provide adequately for this vulnerable family. Sila is 17 years old and suffers from epilepsy. 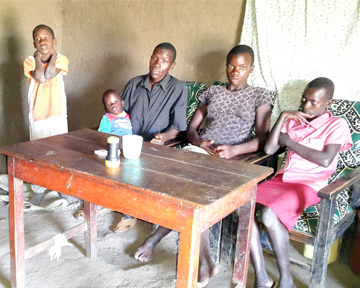 His educational performance has been severely affected as he misses school regularly because of his condition. He is in grade 4 and lives with his parents. Please pray the Lord will intervene so that Sila may be totally healed. He can then catch up with his education and be a successful independent adult. Irene is 8 years old and lives with his single mother. He has been suffering with a severe form of malaria and is very ill and weak. His father abandoned the family. Besides coping with his illness, Irene’s family also faces a severe shortage of food and are very vulnerable. Please pray for God’s loving intervention in the lives of Irene and his family. May he be healed and may the family be blessed with enough food and basic necessities. Lydia is 16 years old and lives with her grandmother. They have been experiencing severe food shortages due to the current prolonged drought in Kenya and Nyatike in particular. The family are faced with starvation as a result of this. Please pray that Lydia and her grandmother are blessed with adequate food. Pray also for enough rainfall so they have enough food to harvest for the next season. We previously requested prayers for Brighton, for God to heal him of his TB. We are happy to report that his condition has since improved. We thank God and all who prayed with us for intervening and bringing about this positive outcome. We also thank God for intervening in the situation of Evans, whom we had previously requested prayers for his asthma. His situation has improved and the living conditions of his family are also much better. Thanks for all those who prayed with us. We appreciate your support and kindness.